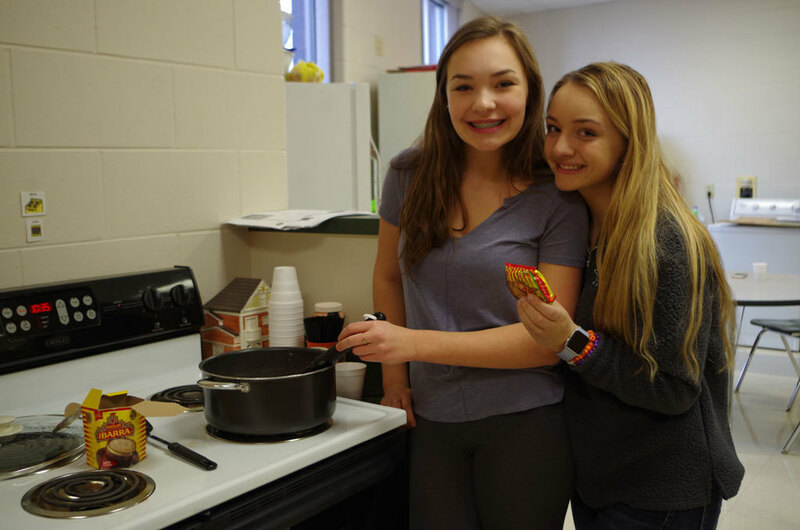 There was a pleasant aroma coming from the kitchen classroom on the West side of the high school on Wednesday, March 13. Senora Shrader’s Spanish Students were waiting patiently in line to enjoy Mexican hot chocolate (IBARRA) and Mexican fried dough (Churros). Two stations were set up; one for the drink and one for the sweet treat. Designated students stirred up the hot chocolate mix and water as other students made up batter from a boxed Churros mix. The Churros were fried, rolled in sugar and then sprinkled with cinnamon and served warm. All Spanish classes were able to experience a homemade authentic Mexican beverage and treat. Muy Bien! Muchas gracias!